This radiator grill is made from stainless steel and is the optimal finish for any radiator. It also offers protection form dangerously fast-spinning fans. If the radiator is installed inside of the case this grill offers the perfect optical integration into the case. 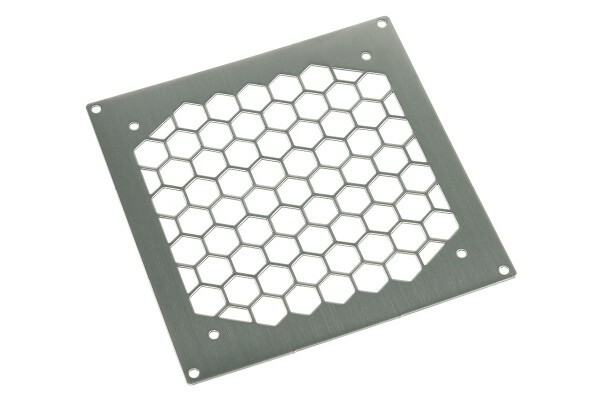 This faceplate grill is no low-quality die-cut merchandise but only the best all-laser-cut material for your projects. The radiator is designed for use on 140mm fans / radiators.